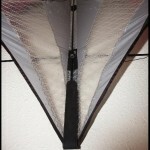 Materials: 6mm carbon and a Nylon and mylar sail, comes with 80′ of 80lb Dyneema & straps included. 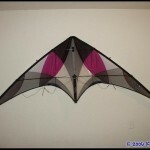 Flying wings has done a great job on the construction of the kite for the price point. 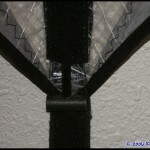 Taped and zig-zag sewn panels with reinforcement around the standoffs. 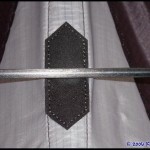 The stitching is excellent. 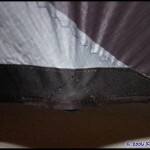 There is a patch for the upper spreader to protect the sail as well as reinforcement at all the proper positions. For the price you absolutely could not ask for better construction, even well past the price point. 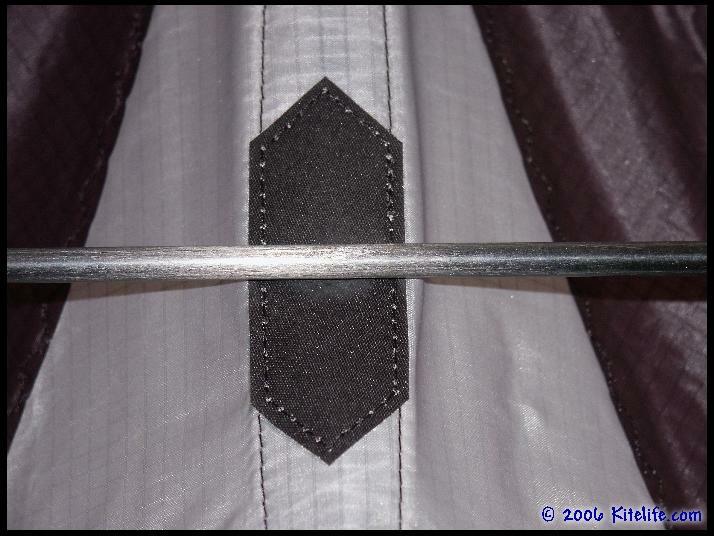 The bridle is a static 3-point with adjustable angle of attack with pigtails at the upper outhaul. 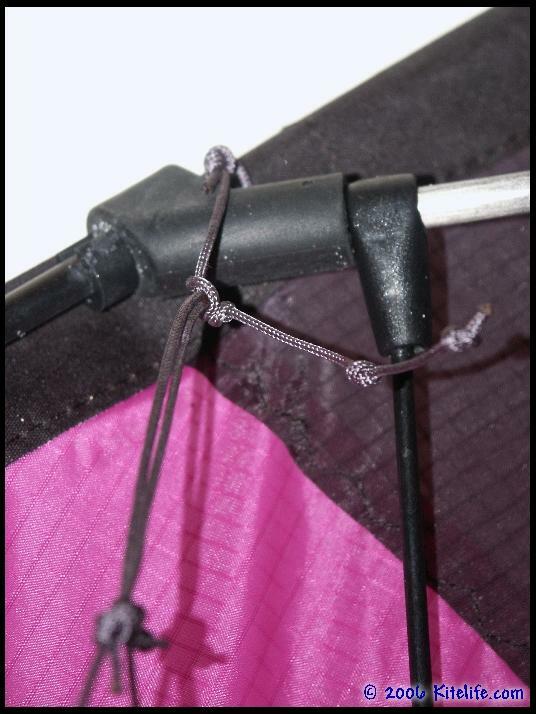 The bridle line is strong and has not shown any signs of wear after many hours of flying. 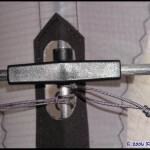 The Acrobatx has a single rod going down the standoff channel inside the kite to keep the sail shape while lines tension the kite while in a yo-yo. 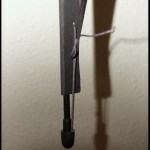 Along with the yo-yo stoppers the kite is a joy to fly while in a yo-yo configuration. 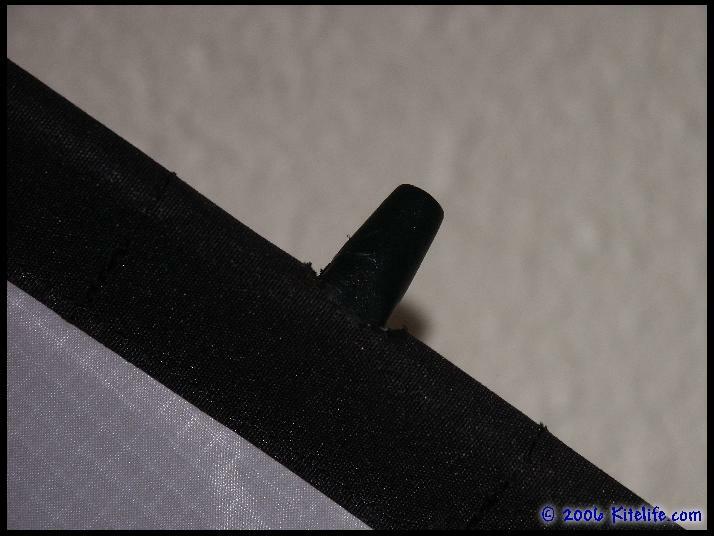 The spine is tensioned with Velcro and has a 15g brass endcap for tail ballast. 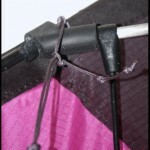 The wingtips have a simple, yet effective tensioning system that requires only a simple pull and allows the LE to quickly break down to a single piece. The wind range is listed as 3-20mph. I feel that is spot on. 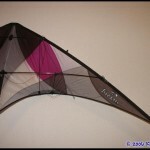 Anywhere in the range the kite is trickable and manageable. 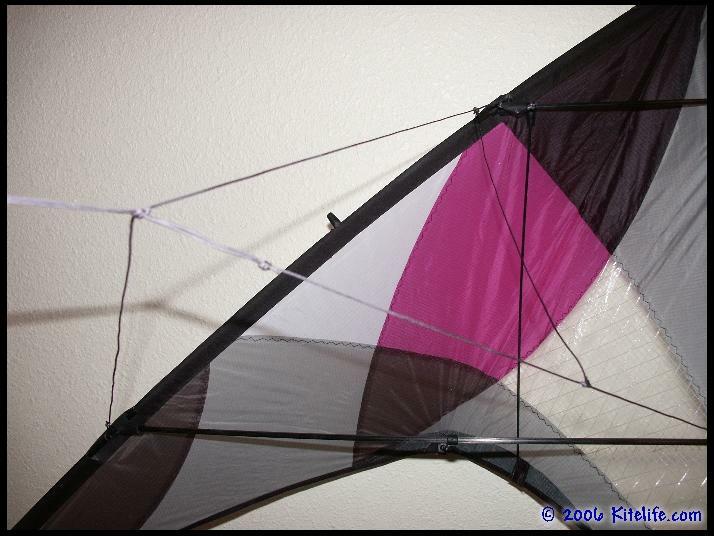 The only thing to be mentioned is that in higher winds the kite shudders a bit with the carbon frame. 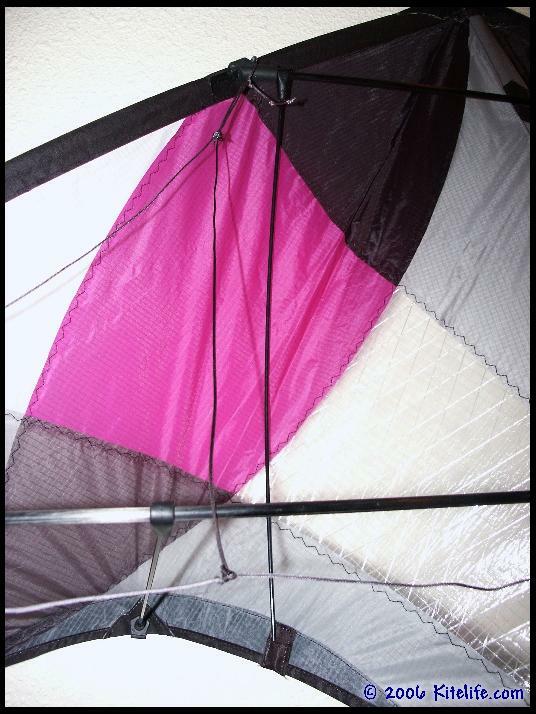 Simply changing the lower spreaders to 3pts gives the kite a true wind range well up to 20mph without any serious risk of damage. 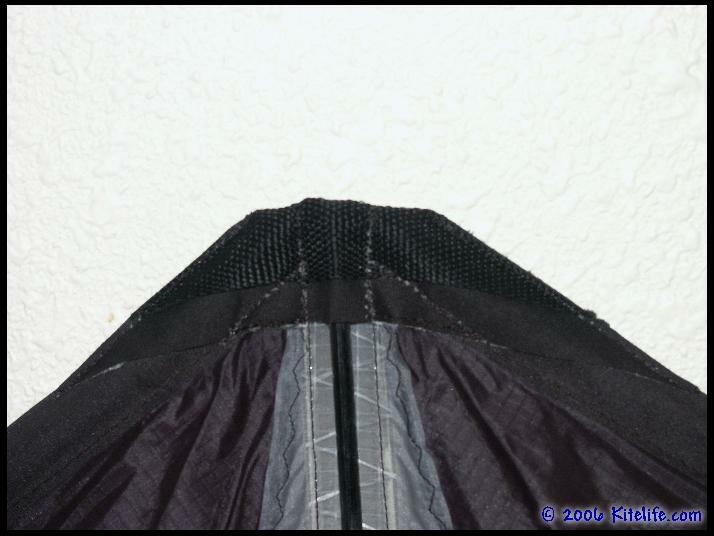 The pull of the kite can vary depending on the bridle setting. I found that with the nose further back the kite began to shudder a little quickly as the winds picked up and precision suffered as well. Most people who I’ve let fly the Acrobatx, both those who like a lot and a little pull, enjoyed the kite with the nose set forward. 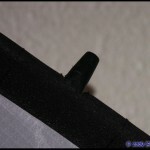 The inputs for tricking are about average. 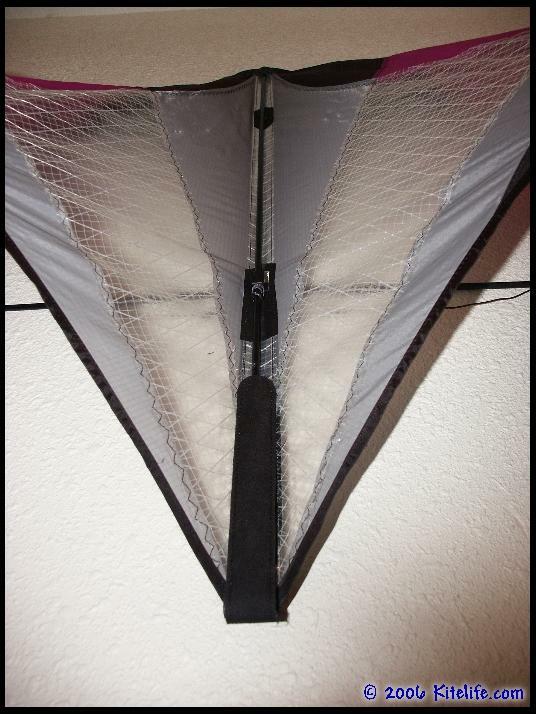 Most everything is in the mid-range with the exception of inputs that may put the kite on its back. 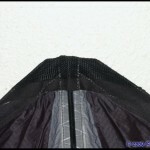 Such inputs must be well-timed and soft unless your intention is to put the kite in that position. 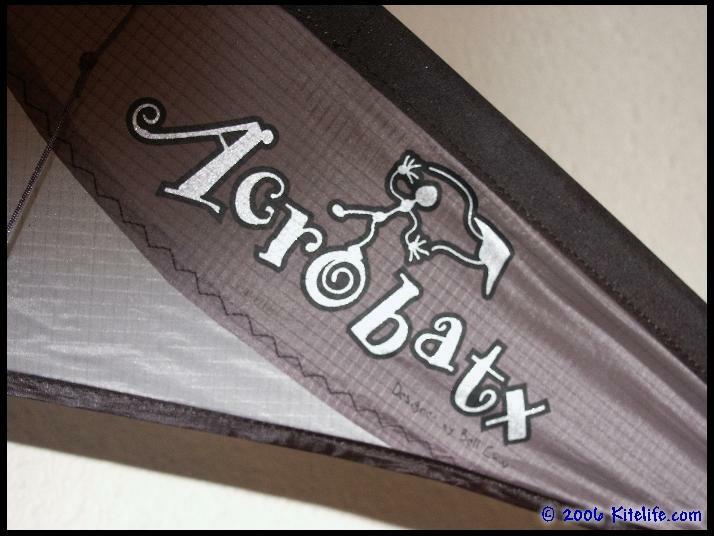 The Acrobatx excels at anything on its back. 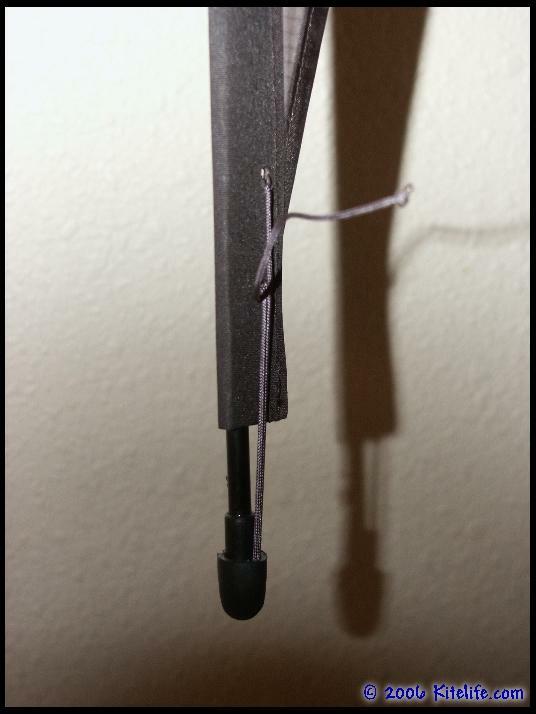 The kite does some seriously amazing things in the turtle position. Pop into an insane then gently stop it and it will on its back and you can pull it into an insane in the opposite direction, or throw in multilazies of the 1 or 2 pop variety. Single pop multilazies are great fun with a firm yank you can knock out 3 and even 4 flat rotations and stop the kite dead on its back and right in the opposite direction. 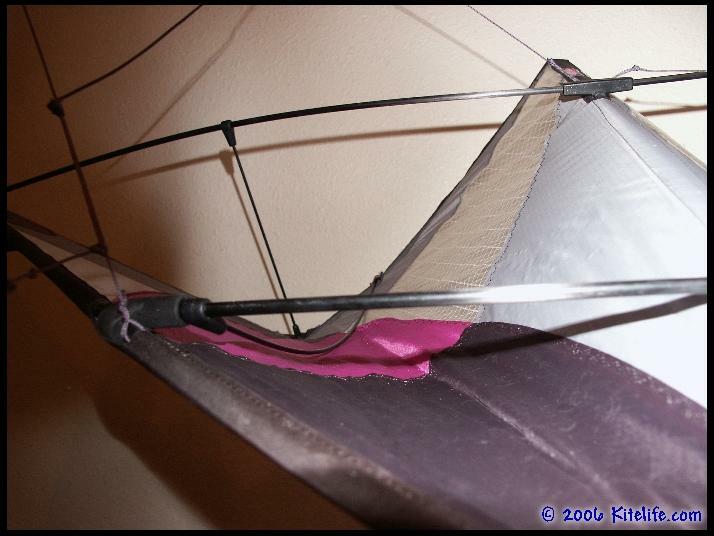 Jacobs ladders are extremely smooth as well and probably the kites best trick is the crazy copter. I cant help but think the Acrobatx is like a mini Transfer XT.s. Not anything like the XT.r, but very similar to a small XT.s in the way it moves gently on its back and stays very stable there yet it lacks the strong pull of the XT.s since the Acrobatx is noticeably smaller. 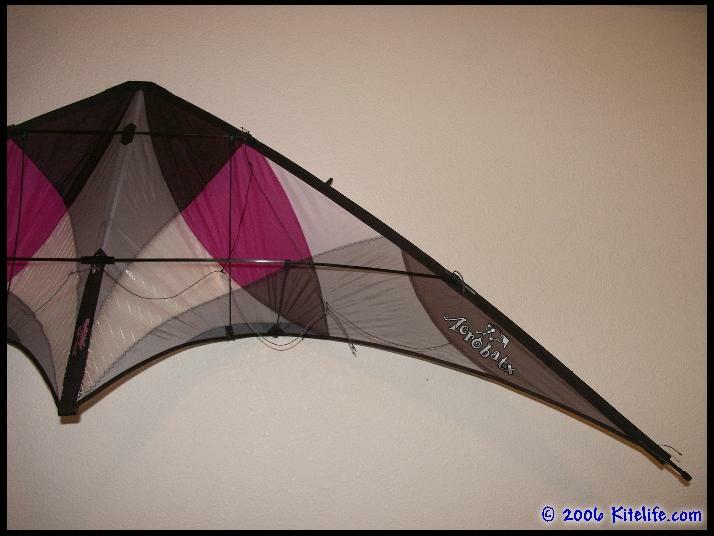 The Acrobatx has a whole bag of tricks in it that are very specific to the kite, (mostly those on its back, similar to the XT.s) but it does not sacrifice many common tricks in the meanwhile and in this way it is very similar to the Benson Gemini. 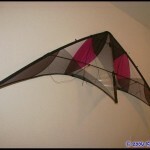 A unique kite that will end up teaching a lot of fliers how to do a wide range of tricks with minimal effort and frustration while offering a whole range of possibilities for new ideas and innovations. 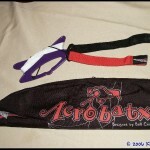 The first time I picked up the Acrobatx I simply could not put it down. There was so much to do with the kite that my mind was constantly running through ideas for new tricks while I went through the range of “normal” tricks. My usual start with the comete was a little tough. It took me till my third try to get the timing right on the 4 and 1 pops for the succeeding rotations as the kite wanted to go and sit in a turtle immediately. Once I figured that out I tried my favorite trick, the crazy copter and Im quite sure that was the start of a very nice with the Acrobatx. 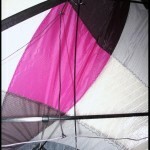 This is, bar none, the absolute easiest kite to crazy copter I have ever flown. 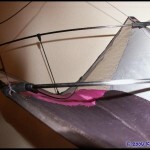 If you want to learn how to do the trick this is THE kite to learn it on. Dead center of the window in 10-12mph winds it was absolutely not a problem. Likewise yo-fades were easy to get into, but a little hard to tend the fade. An immediate backspin once you’re in the yo-fade was an excellent exit. It immediately felt like precision was not the intention of the kite, so I proceeded to go through the list of usual suspects on the trick list. 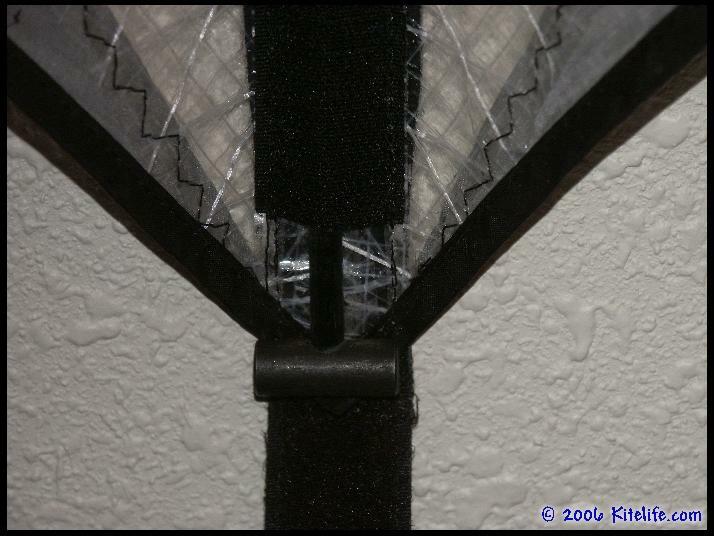 Jacob’s ladders were simple and hard to do incorrectly. 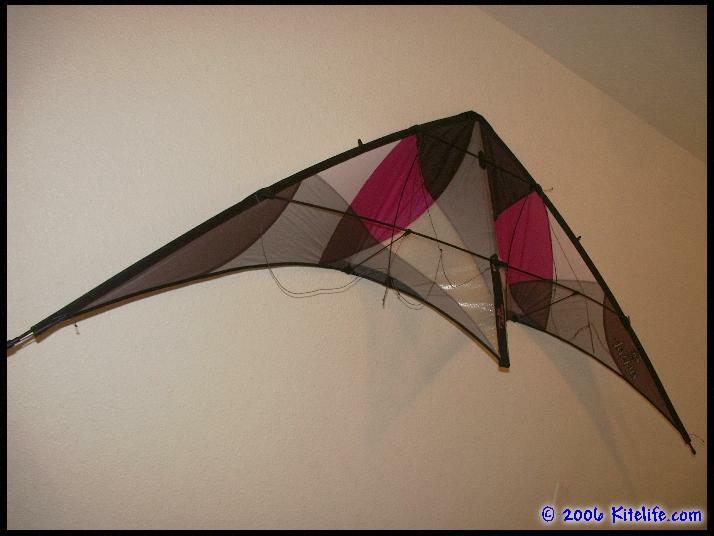 Multilazies were extremely simple and nearly impossibly to do wrong once the kite was on its back. Yo-yos were fast and accessible without any modifications. Insanes required a little bit more pulling to keep the kite from flattening out into a turtle, but I found this to be a very nice thing to make for some amazing trick combos coming from and going to insanes / multilazies / cometes / cascades. Cascades themselves were a little tough to keep clean, but the ability to chain them with other tricks that many other kites do not make easy was a good tradeoff. 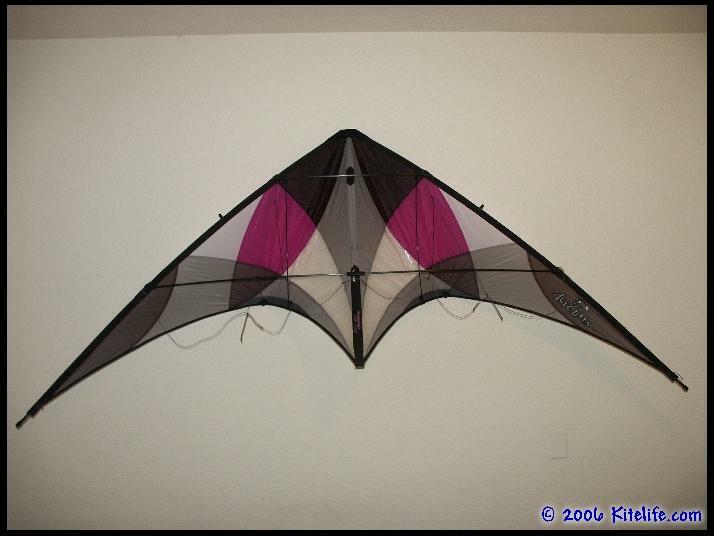 This is the only kite I’ve seen that not only will yo-yo very quickly from a nose-back/forward or half-backspin and also do very slow 2-pop yo-yos. 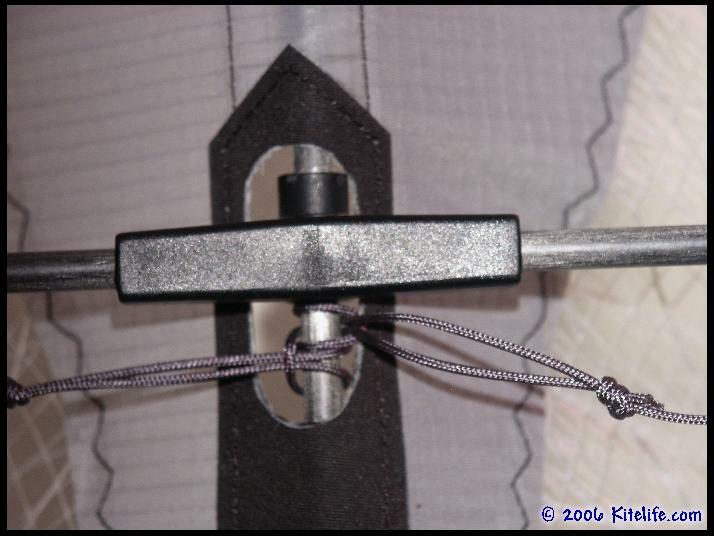 Multiple rollups are easy from either method as well. Side slides were actually pretty easy considering the style of kite. “Old-school” tricks do not seem to be the intention of the kite, but in the hands of a pilot capable of the tricks it held up admirably. I can’t think of a common trick I haven’t seen done on the Acrobatx, so if you have the skill it is there waiting for you. In lighter wind I found the kite to be somewhat harder to fly. Winds above 5mph were much more fun with the Acrobatx for me personally, the kite requires a quick hand to keep in check as the winds come down. I would not entirely attribute this to the kite itself, I am simply not entirely adept at low wind flying. In our test flights at KTAI however, we added another 10 grams of weight and moved the bridle adjustment near the top spreader fittings to the first knot (closest to the kite)… In this configuration, it seemed to better dial into precision moves, dropped some oversteer and went in and out of turtle positions with ease to the point where John Barresi didn’t put it down for 20 minutes or so, doing all of his best moves with minimal effort in a 3-5 mph breeze. 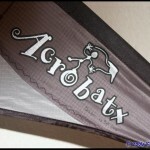 The retail price of the Acrobatx is around $80 and for what it’s capable of you simply could not ask for a better deal. Flying Wings has hit yet another home run in succesion of the popular Beetle with the Acrobatx. 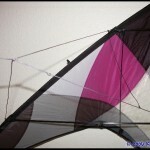 For the most experienced pilots, beginners and everyone between the Acrobatx is an excellent training kite and a great teaching tool for most all of today’s tricks. 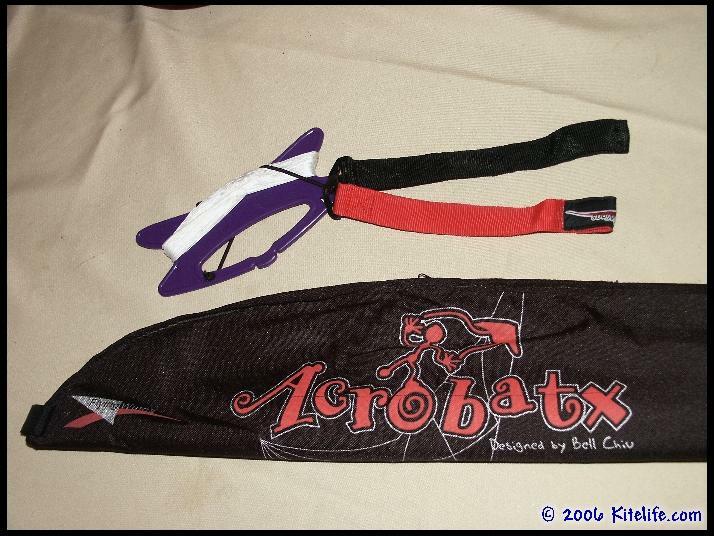 Hey, if you really want to spend $300 on a high performance kite you could always reframe the Acrobatx in Aerostuff… Just kidding, but point made. 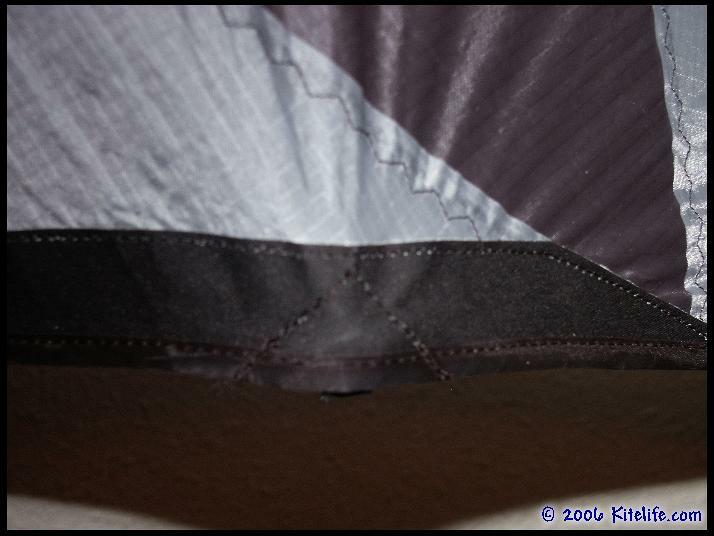 This entry was posted in 2006, Dual Line, General Topics, Issue 46 (Jan/Feb), KL Archive and tagged acrobatx, flying wings, review.